Casey O'Roarty is a mom of 2, a Positive Discipline Trainer, parent coach and the host of the Joyful Courage Podcast. Her vision is for all of the people in the world to come from a place of love and abundance, and in doing so, create a more loving and abundant world. Check out Casey's awesome parenting podcast here! 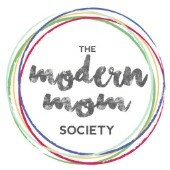 Check out Casey’s contributions to the Modern Mom Society! Why do our kids have so much trouble with their siblings? * You will increase your awareness around the areas you are stuck (you know, the irritation that never seems to go away… the exhaustion, the guilt and shame that shows up so often after you have “dealt with” the challenges your kids bring on a regular basis. * You will spend time exploring new choices, new ways of being… Inviting in the qualities that are missing. Love, compassion, self acceptance and non-judgement… You will learn how to open up your body and allow these emotions in. * You will create a practice for teaching your body and mind a NEW pattern, making this new way of being more readily available when you need it. will shift the dynamics in your home.